How to sell on Ebay - The Ebay sales system is an auction or auction model. This model will be very useful for sellers to increase the sale value of an item that you will sell. The method of determining the auction winner can be done based on time or price achievement. The time method is the most common, such as how many days your item will perform for the auction process with a predetermined pre-set value and how much its minimum value increments. While the method of price achievement is the goods can no longer be auctioned if there are buyers who agree with the price you offer without the auction process, usually the price will be higher than the initial value of the opening price of your auction. Do you have unique items you want to sell? use ebay to sell it all over the world. Ebay is known as one of the biggest market for goods ranging from the former or second to the new ones though. 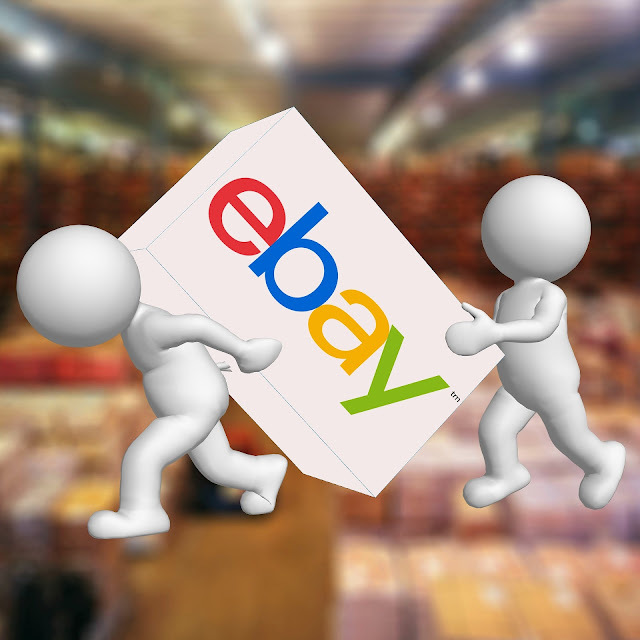 Ebay has long existed and initially only intended for the market in the United States alone but now there is no longer the limitations. Ready to get started? here's a complete and concise guide but it's obvious to you beginners who want to start marketing your products. Open your favorite browser and enter the address http://www.ebay.com. The Ebay network is numerous and available in many countries. Select the Register link on the first page, you will be taken to the form to fill. Enter all the required information completely and correctly, never to write wrong or invalid information, it is very important for you if you want to be a reputable seller. Make sure you have read and examined the content of terms of service from Ebay, then continue. Shortly after you finish with the form field, then please check the e-mail you used earlier. Please confirm the email by clicking on the link provided to activate your account. Set how your items appear in search on Ebay. Attention for you that the goods have been sold, you will receive e-mail notification if any of your goods are sold. It's often to check your Ebay account and do promotion on the community on Ebay and its forums. If your goods sell immediately send the item to the buyer's address, do not delay until a long time to send it, remember this is the most important thing in the electronic transaction system on the Internet. Trust is number one and your reputation will be well preserved by doing good things too. Immediately answer questions posed by your bidder. Do not ever delay the entry of the question because it will cause your goods will be difficult to sell. Hopefully this paper will be able to help you to start marketing your unique items via the Internet, especially Ebay.